Keeping her costumes well hidden, Lady Iredell used to stay up late at night sewing her costumes while her grandparents slept. Iredell had to be sneaky to attend cosplays. The reason for that: her fundamentalist religious family decided cosplay was a sin and threatened to kick her out of the house if she ever attended another convention. Lady Iredell, keeping her true name concealed because of continued harassment from her church, said she started attending conventions in 2015 while away at the University of Central Arkansas. Although she makes her own costumes now, she bought her first costume because of its low price and attended her first convention, Glitchcon in Springdale, Ark., as Ciel Phantomhive from Black Butler. As she got comfortable portraying this character she met a ton of new people. Although she didn’t interact much at the time, partly because of her social anxiety, she made connections and they later became her best friends and support group. Because of Glitchcon, Iredell said, a group invited her to participate in a Black Butler tea party the following year. Dressed as Lizzy, Iredell said she participated in an improve routine with the group. 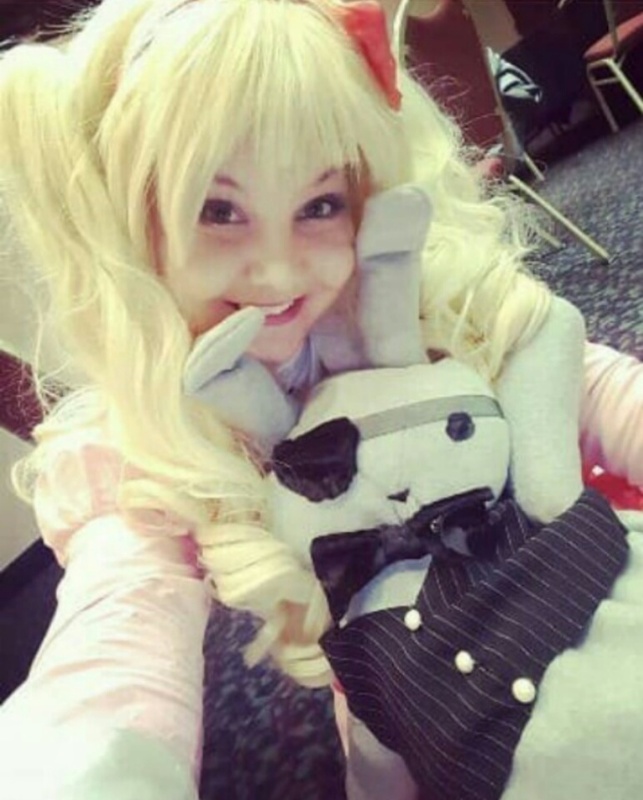 She said the confidence boost from her success at the conventions helped some with her social anxiety and encouraged her to join anime clubs at UCA. Iredell said she attended several other conventions such as Anime Festival Arkansas, Konsplosion and Comiconway. She mainly portrayed Lady Elizabeth from Black Butler. But after an issue on campus made her feel unsafe in her dorm, Iredell had to leave. Because her father recently remarried and had no room, Iredell moved in with her grandparents. Iredell said it was her grandmother who incited the family against cosplay. She continued cosplaying in secret while staying with her grandmother, but her grandparents found out in May of 2017 that she attended a March convention. She told her family she would do what they wanted, but she hid her costumes. A few months later, she moved in with a friend who had recently relocated to Iredell’s home town. But even though she’s currently living independently of her family, Iredell said the local church has a history of intimidating and harassing anyone who leaves. Within only a few days of receiving the letter, Iredell was informed by her own family that she was no longer invited to the family’s upcoming family reunion. Iredell said the church often encourages families to shun family members who leave the church. Since she left, Iredell has not been allowed to speak with her younger brother. Her landlord and boss in Little Rock are also close friends with Iredell’s family. Iredell’s family has been telling them that she leads an “unruly and shameful life,” and Iredell worries this might threaten her apartment or job. Although Iredell told no one where she was living, her landlord told her parents and two church members recently showed up at Iredell’s apartment, attempting to pressure her into returning, she said. She fears she also may lose her car. Although she paid for her car, her grandfather co-signed and recently sent her a letter demanding she take his name off of the vehicle. She knows of no way to do that. She said she doubts he’d have much legal standing if he ever attempted to take the car, since she can prove she paid for the vehicle. Even so, she’s afraid to try and face him in court because he’s rich, and because she fears her family’s connections could cause her to lose her job or apartment. Fears of church and family retaliation are also why she asked that the name of the church not be included in the article. Iredell makes a special point of enjoying herself at conventions, which she continues to attend in spite of harassment from the church and her social anxiety. Since leaving the church, she said she’s gotten bolder in trying out other costumes. She recently completed a Nui costume, which reveals the shoulders, and she said she’s still working on bigger things. She said she still has difficulty stepping outside of her comfort zone, but a supportive friend network has helped a lot. Since leaving, Iredell also reconnected with her biological mother, who also left the church. Iredell recently came out to her mother as pansexual and found out her mother already knew. Iredell’s mother lives in California, which gives her a safe place to go if the situation in Arkansas turns out for the worst. But Iredell said that would not be preferable because it would mean leaving her boyfriend, so Iredell continues stabilizing her life in Arkansas as she searches for a way to leave the county and escape the church’s sphere of influence. Iredell can be reached at ladyiredell.cosplays@gmail.com.